Nancy has a strong and diverse background in tax planning, representation of taxpayers in general litigation and before the IRS. Ms. Kuhn is a Director in Jackson & Campbell, P.C.’s Business Law Practice Group, specializing in a variety of federal and state tax and non-tax matters and litigation in federal and state courts. 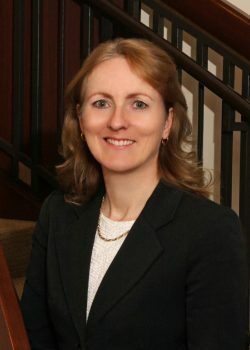 She is also the Chair of Jackson & Campbell’s Tax Law Practice Group. Nancy has a strong and diverse background in tax planning, representation of taxpayers before the IRS, and general litigation. She has represented many taxpayers undergoing IRS audits, in addition to taxpayers in IRS appeals and collections. In addition, Nancy advises clients with complex structures including joint ventures and domestic/international affiliated entities. Nancy assists clients in navigating and negotiating favorable settlements with the IRS in trust and estate matters, employment tax, nonprofits, and individual/corporate collection matters. Nancy frequently advises clients who are in the planning stages of philanthropy, ensuring compliance with the Internal Revenue Code. Nancy also advises individuals and corporate entities with regard to foreign and domestic tax issues, along with related business issues including complex litigation in federal and state courts. Nancy’s existing clients include a variety of nonprofit organizations, domestic and foreign high net-worth individuals, corporations, and domestic and foreign limited liability entities. Prior to joining Jackson & Campbell, Nancy was Of Counsel with a D.C. law firm specializing in federal tax matters. Nancy also served with the IRS for ten years, primarily litigating before the United States Tax Court on behalf of the government. Nancy also served as an attorney-advisor at the United States Tax Court. Prior to law school, Nancy was a professional musician and Fulbright Scholar in Trondheim, Norway. Nancy is active in the community and is a member of a variety of organizations. She sings with the Washington Chorus, Washington’s premier adult chorus which performs frequently at The John F. Kennedy Center for the Performing Arts. Nancy is a member of the Murdock Inn of Court and Co-Chair of the 20 + Experts and the Women in Politics Committees of the Women’s Bar Association of the District of Columbia. She is a long-distance runner and directs a handbell choir. Tax Treaty Interpretation: Nonjusticiable Political Question?